Civilization V has always had a problem: most of the fun is front-loaded. Finding your place in the world is the height of the game's enjoyment, and the feeling you get when you build your first ocean-faring vessel--breaking into the dark blue and seeing what else is out there in the world--is unparalleled. Once you've seen all there is to see things become fairly routine, and you set about either destroying or improving the world as you see fit. It's this problem that Civilization V: Brave New World attempts to fix--helping stead the downward decline that every Civ match takes once you leave the Renaissance Era. While it doesn't solve it completely, it seamlessly provides plenty of improvements to help make for longer, more enjoyable games. 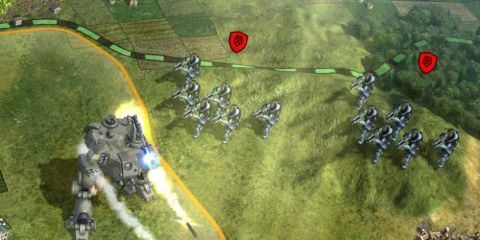 Brave New World is the second expansion to 2010's Civilization V, and includes a suite of additions to help improve the game's pacing. Some of the changes come in the middle of the game, right as things would otherwise start to sag, but some begin earlier. The revamp of Trade Routes, for instance, make deploying Caravans and Cargo Ships vital for any civilization aspiring to profitability. Keeping, protecting, and maintaining these units adds a new layer of strategy, making your relationships with others more important than ever. It's an element of the game that was never really tangibly represented before, and the inclusion will provide you new tactics to enjoy. "Keeping, protecting, and maintaining these units adds a new layer of strategy..."
That goes especially so if you play as Venice, a new Civ that can control double the Trade Routes at the cost of not being able to build Settlers or Annex cities. Venice is one of nine new Civilizations added to the game, bringing the total count to 43. They're all fairly interesting, though it's starting to get to the point where it feels like clutter, as few nations actually provide changes that create new tactical options. Many new civilizations lean on Brave New World's revamps to the Culture victory conditions, which have you consuming Great People to create works of art to put into museums in order to generate enough Tourism to overtake your opponents' culture. Mixing and matching different kinds of art to gain set bonuses is the kind of complexity not formerly found in Civilization V, and makes Culture as involved as some the other mechanics. "...few nations actually provide changes that create new tactical options." Culture's changes are difficult to understand at first, but eventually do a good job at making the tactic more involved than simply building a bunch of Great Works and hoping no one attacks you. Now, you're essentially taking your culture on the offensive by actively trying to create cities that people will want to visit. Archeologists--an Indiana Jones-looking unit with the power to uncover Antiquity Sites--help this as well, and add an element of exploration to the late-game that is otherwise absent. Better yet, the sites they're uncovering are actually based on the current game, and having them dig up the remnants of a battle you fought six hours ago is awesome. The Social Policy tree has also received a significant update as a result of the changes to the Culture victory conditions, helping to integrate the new mechanics well without feeling like they're given an unfair focus. A larger renovation comes with Ideologies, a multi-tiered branch within the Social Policy tree that allows you to choose whether your Civilization follows Autocracy, Freedom, or Order. Besides giving you the ability to further shape your Civ, they also provide a much-needed pool for less Culture-focused Civs to dump their points into. The fact that it appears during the Modern Era helps as well, as it makes sure that new and exciting things are happening even after you've explored every inch of the globe. World Congress is another significant change brought with Brave New World, and it dramatically improves the late-game by allowing players to propose and vote on different initiatives. Being able to get everyone to agree to embargo a pesky enemy, or to ban a specific Luxury Resource, creates conflicts that can totally change the game. As the match goes on the votes become more frequent, too, offsetting the fatigue that typically sets in after a few hundred turns. "[World Congress] dramatically improves the late-game..."
Whereas the addition of Faith and Espionage made the Gods & Kings expansion feel robust and beefy, the updates found in Brave New World, at first, feel less impactful. After a few dozen hours, though, you'll start to notice that it's not that the changes aren't plentiful, it's that they're simply better implemented. All of the mechanics, new and old, work together to make the already amazing game even better. Brave New World might not feel incredibly new or brave, but it's an impressive expansion that any Civilization V fan should enjoy. Description Civilization V: Brave New World is the second expansion pack for Civilization V and features enhanced depth and replayability through the introduction of international trade and a focus on culture and diplomacy.